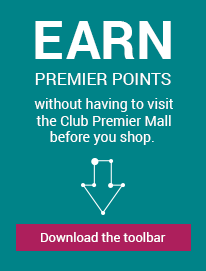 PMall Premier | Magazines.com, Inc. Since 1999, Magazines.com has been the trusted online source for magazine subscriptions. We are proud to provide you with amazing deals and huge discounts on your favorite magazines. From celebrity news to sports to fashion, Magazines.com offers subscriptions to over a thousand magazines. Our broad selection of magazines assures that we have something for everyone and our gift subscription program makes it simple to give a gift that will last all year long. Special Terms: Member rewards are available on the purchase of gift cards & e-gift cards but are not eligible on redemption of gift cards & e-gift cards. Purchases made offline are not eligible for rewards. Magazine subscriptions are shipped to you by the magazine's publisher. The delivery of your first issue depends on the publication frequency of the magazine you ordered. Generally, publishers ask that you allow 4-6 weeks for weekly magazines, 6-8 weeks for monthly magazines and up to 12 weeks for seasonal or less-frequent magazines. However, you can expect faster delivery of many of our top-selling magazines. If you have not received your first issue within the estimated time period, please contact Customer Care. Magazines.com will pay the sales tax for you so you pay NO SALES TAX!. We accept Visa, American Express, Discover, MasterCard and PayPal. If you are not satisfied with your subscription, you can cancel at ANY time. All new Magazines.com subscriptions come with a full refund within the first 90 days and after 90 days we will still give you a refund for any unsent issues. If you don’t like the magazine you selected, call and let us know. Our Customer Service Associates can send you a refund for the unsent issues or switch the subscription to a different magazine. We are eager to assist you with a new magazine order, gift subscription, renewal or cancellation.